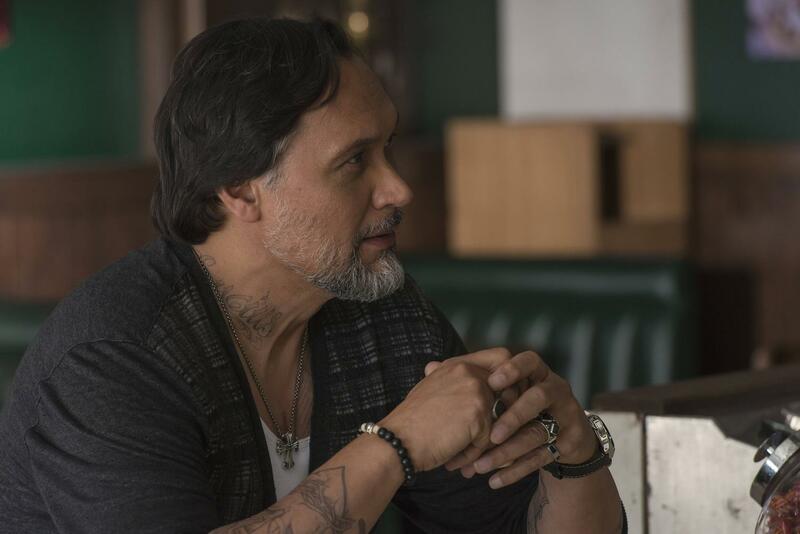 “Sons of Anarchy” will be returning for its final season Tuesday, Sept. 9, at 10 p.m. EDT -- and based on what we’ve seen thus far of Season 7, viewers are in for one wild, last ride. Promomotional videos have teased that this season of “SoA” is going to be pretty bloody. When our beloved protagonist Jax finally makes his way out of prison, he’ll be hell-bent on finding the person responsible for Tara’s death. Little does he know it’s his very own flesh and blood who stabbed his wife to death with a carving fork under the false impression that Tara was the one who ratted Jax out, causing him to go to jail. But once Gemma and Jax reunite, mommy dearest will quickly place the blame for Tara’s death on someone else. And, according to reports, her finger-pointing will be the beginning of a long, brutal war between two rival gangs. “I don’t have a vision anymore,” Jax replies, confirming he’s not the same, peace-seeking Samcro leader fans last saw in the Season 6 finale. 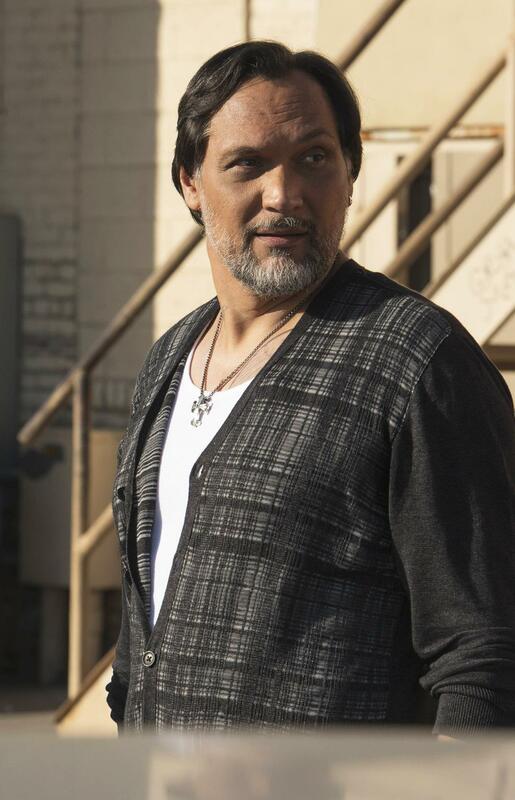 Check out Jax’s drastic transformation from nonviolent leader to death-seeking reaper in the promo photos that have been released online from Episode 1, “Back Widower.” Fans can see Jax’s interaction with Ron Tully, the show’s newest character played by Marilyn Manson. The two just happened to meet while Jax is serving time in jail for taking the rap on the school shooting so the Charming gang wouldn’t reap the consequences of gun handling. 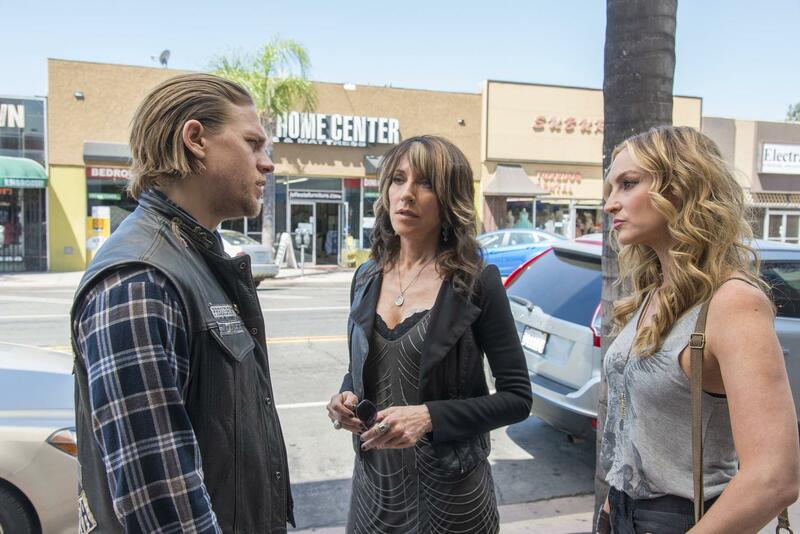 “SoA” viewers will also get to see Jax interact with his mother and Wendy after getting out of prison. Is it just us or does the look on Gemma’s face scream, “Guilty”? Sound off in the comments section below about what predictions you have made after seeing the Season 7 premiere photos. 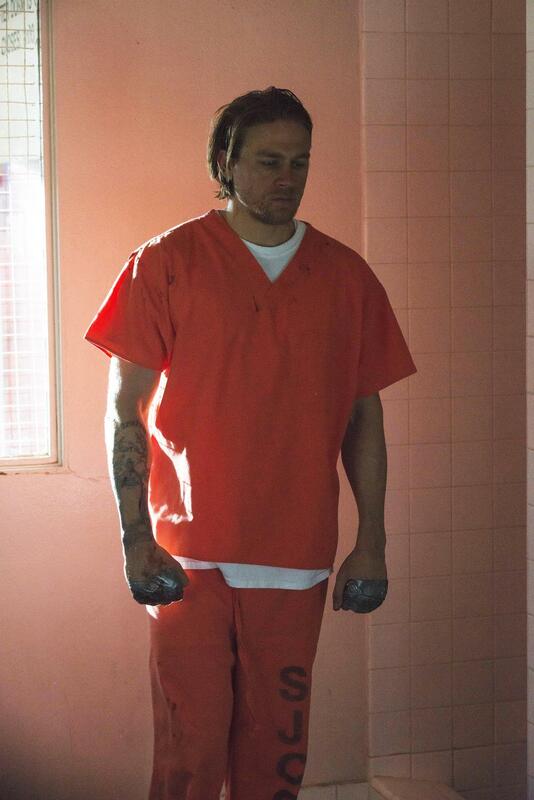 Have your theories changed regarding how Episode 1 of “Sons of Anarchy” will play out?